In this video, I’ll show you how to tie a really simple yet highly effective bottom bait big carp rig with a very simple set up. I’ve been fishing with this rig for over 5 years and it has caught me and our Beausoleil anglers the biggest carp in the lake. It’s good for catching catfish as well and it is one of the most simple bottom bait presentations to tie. Some of you will already know this rig as I have already written blog articles about it. If you haven’t seen it before, use the transcript of the video below to get a very detailed step by step guide for making this rig. I’ll also explain how the rig works and how to cast it. 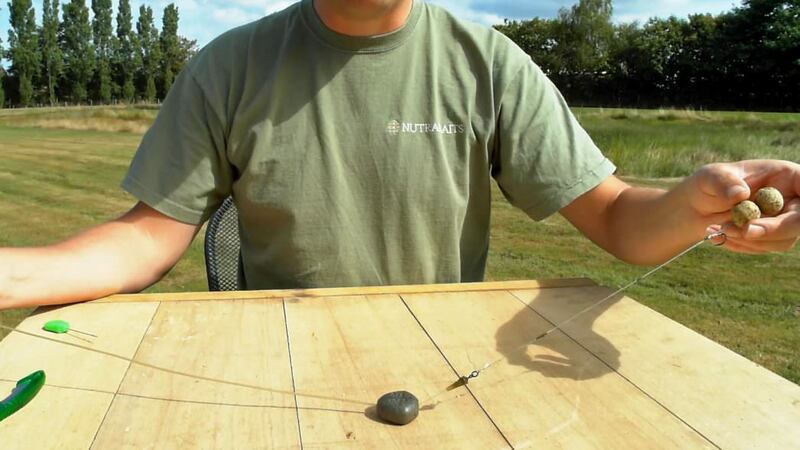 There are many carp rigs out there, so what makes this one different? ► For me, the main benefit of this rig is its versatility. 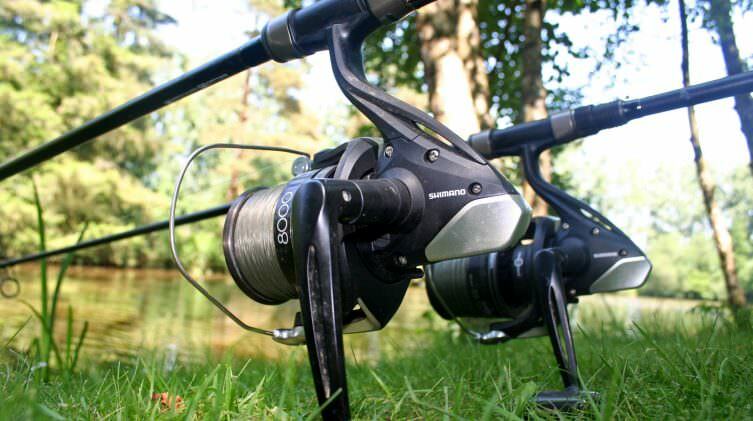 ► This rig will fish over different bottom types: You can fish with it in silt, on hard patches and light leaf debris. ► It’s also very difficult for big carp to deal with and eject. ► It’s also incredibly good for getting bite indication on very slack lines. ► You can fish this right against margins. ► No matter which way the carp swims, left, right or towards you, you will get a run. Simple, strong and easy to tie. 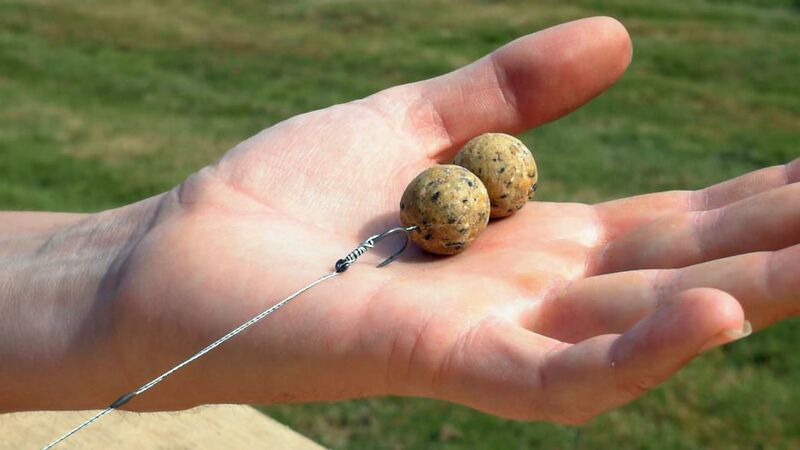 This rig has caught hundreds of carp! We start off by passing the braid through the front of the eye of the hook and form an overhand loop. 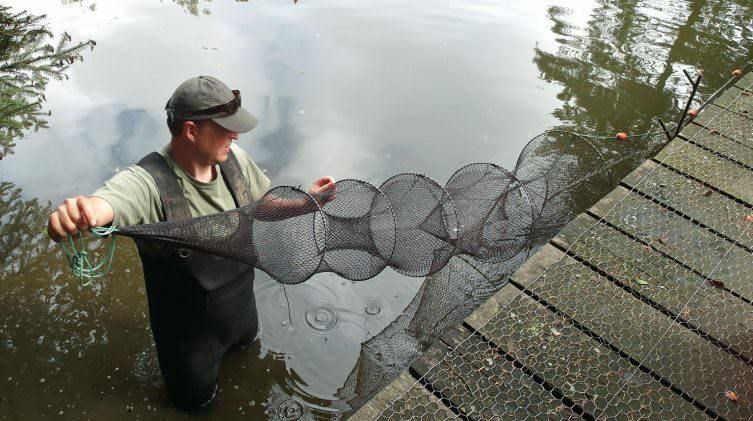 It’s very important that the length of that loop is about 1.5 times the diameter of the baits. Trim off the tag end and leave a couple of millimeters. 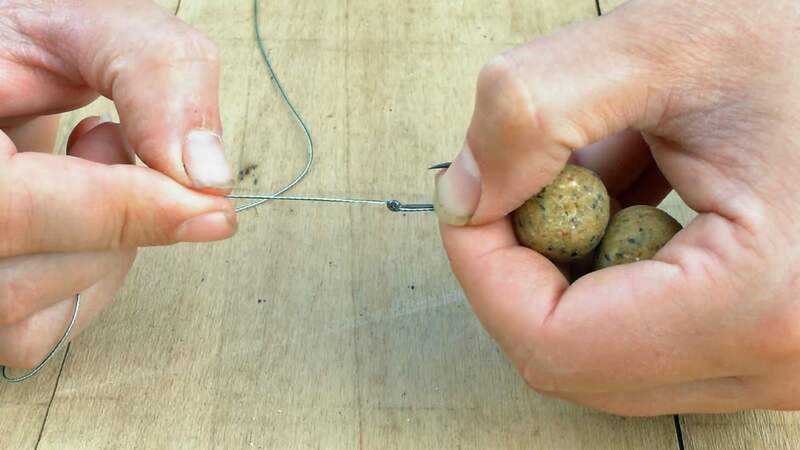 Then, hook the baiting needle into the loop and slide both baits and put a hair stop. You can use any kind of hair stop you like, I use flat ones. For tying the rig itself, it’s very important to have the right setup so I make sure my nail is perpendicular to the point of the hook (see picture above). The baits are then pulled up behind my thumb and index fingers, so that fixes the length of the hair each time. Then I whip away to avoid the join in the eye of the hook. I stop when I get to the point where the braid is touching the point of the hook perpendicular to the shank. Next, I swap hands and put 2 whips behind the hair of the hook. Transfer hands again. Then go once over the knot to lock the knot in position and then pass the hair back through the eye of the hook. Keep 11” or 12” of the braid and then pass it through the back of the hook and then moisten it before tightening it down. Why have I tied this rig like this? ► The reason for tying the loop at 1.5 times the diameter of the baits, was so that the knot in the hair ends up in the middle of that bait. 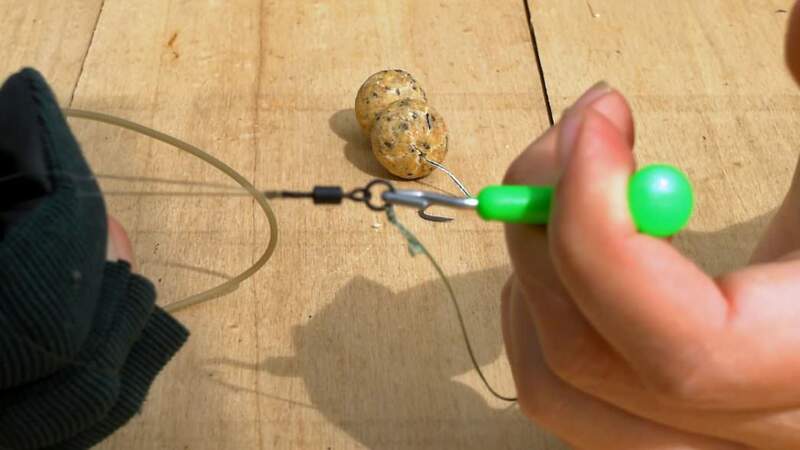 That locks these baits together so that that one won’t slide down and start interfering with the hook when the hook is trying to get you a hook hold. ► I’ve added 2 turns behind the hair to create a kicker, so that when this rig is under tension the hook kicks out. ► The reason for the single overwrap is to help provide an additional lock on the knot and it stops the knot slipping and rotating. The point of the hook should be hanging roughly flat to the floor. The position of the hair creates the pivot point. That’s why it’s important to have that pivot point exiting exactly perpendicular to the point. 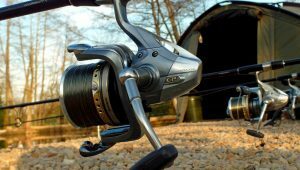 When you swing it round the other way, you’ll see that the hook is hanging down exactly vertically therefore whether it goes in the middle, the left or the right hand side of the mouth of the carp, it’s going to get a hook hold. It does not prefer to pick up one way or the other. It’s giving you a good chance of pricking either way. 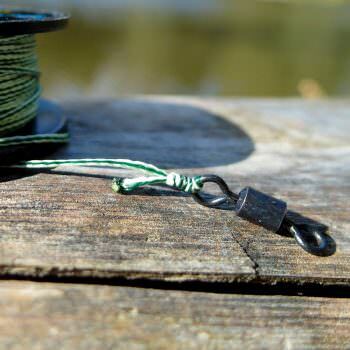 Now we’re ready to make the connection to our swivel by tying the 5 turn grinner knot and wet the knot. Then, take your rig puller and a leather glove and tighten the knot strongly. Trim the tag end off, I always leave 5mm. Next, we need to connect our main line. Here I use 15lb GR60 line with shrink tubing threaded on. The first thing that goes on is the 3.5oz inline lead with the insert removed. Put on the tail rubber. 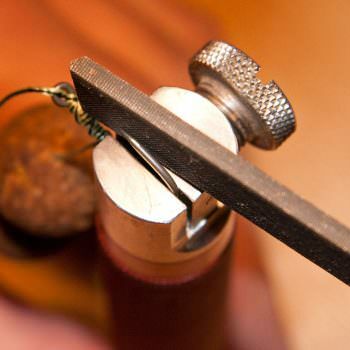 Then, make the mainline connection knot to the swivel, again using the 5 turn double grinner. Then take the rig puller and glove again and tighten the knot. You will notice that I have not cut the tail of the mainline. 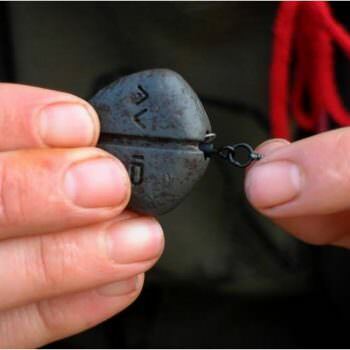 To understand the benefits of doing this, you can check out my other post: The telltale lead carp rig setup. Now, push the tail rubber over the swivel, put the anti tangle tube in the tail rubber as well and put the lead in place. Take the end of the mainline and place it inside the insert, push the rubber in, and you see that you have a loop of line sticking out. To finish, I just take a couple of blobs of putty and apply them along the line. When you test the rig on your palm, you can see that the hook flips over straight away. ► The carp comes along and picks up the baits. It’s going to tighten the rig, hit the lead, and the first thing he’s going to do is try and shake it off. If you apply a little shake, you’ll see that the lead is off straight away. ► If the fish moves away from you, obviously you’re going to get a run. If the fish moves to the side of you, you’re going to get a run. If the fish moves back away from you, you’re going to get a run. So, this lead system is acting as a super slack semi fixed setup. It’s going from a semi fixed to a running lead so you can fish very slack lines with this setup and you’ll always get an indication on the bobbin and the alarm. How to cast the rig? When it’s in flight, the lead is travelling first obviously and the bait is trailing behind. 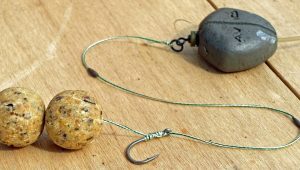 If you cast this rig straight into the water, the lead is going to plunge in, the baits behind will very likely spin round and tangle on the tail rubber. When you wind in, you’re going to be fishing with a mess. 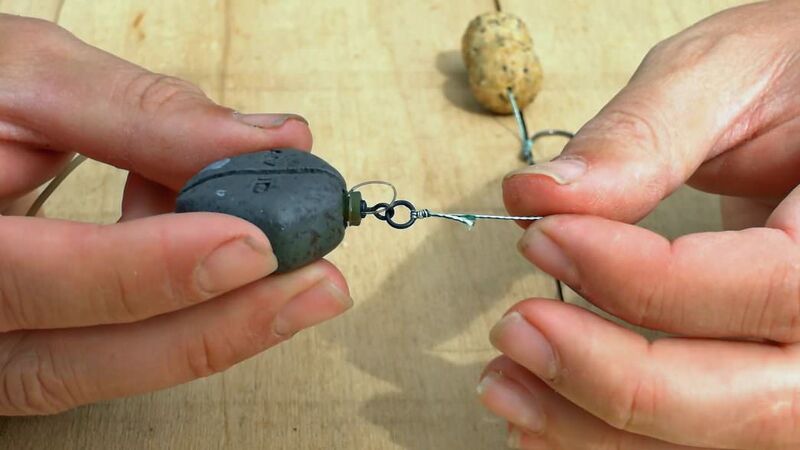 ► When you’re casting this rig, you must stop the lead before it hits the water. That means stopping the lead in flight, 12 inches above the water. This means that the lead will decelerate and stop, the baits will fly forward and the whole rig will land on the water properly. 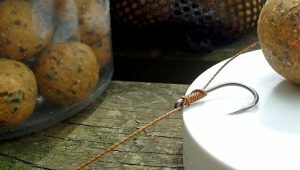 The lead will then plunge through the surface, the baits will follow and land in a little pile separately from the lead. So your presentation will look very good, there will be no tangle. It also enables you to feel what sort of bottom the lead had landed on, which is very important when you’re targeting a small hard spot among some silt. 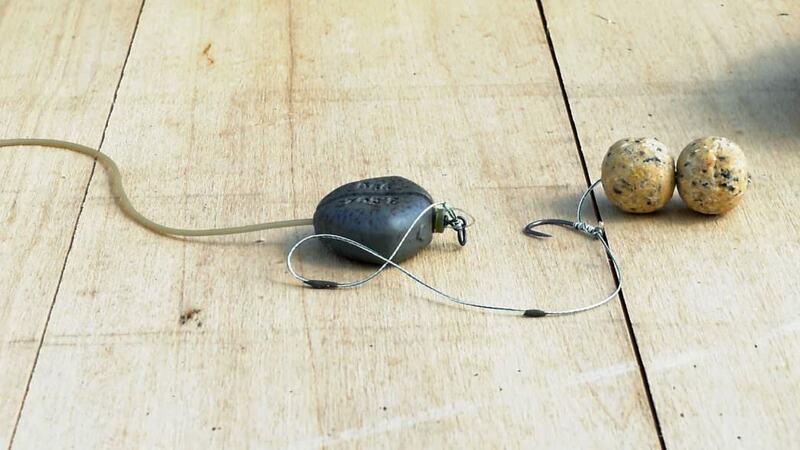 ► If you drop this rig from a bait boat, put it neatly in the hopper with a bend in the rig. 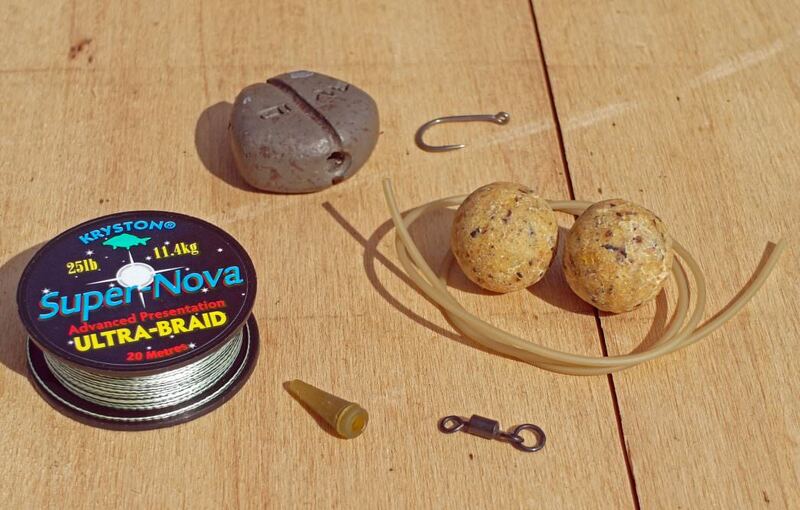 When the trap opens, the lead will go first, the baits will follow, then the putty will keep the braid pinned down. The baits will land next to the rig and that will be absolutely fine. ► If you drop this rig from a rowing boat, hold it by the baits, get over the spot, and let it go. 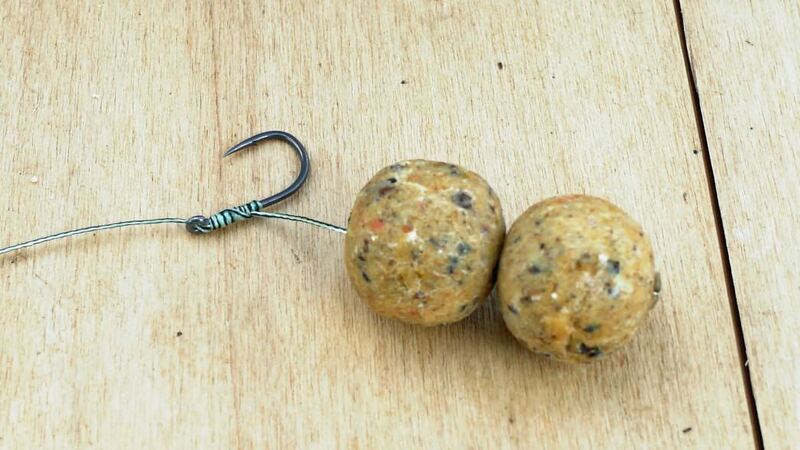 The lead drops in, the baits follow and with a scattering of baits over the top, that’s perfect. Before I fish with this rig, the last thing I do is sharpen the hook. 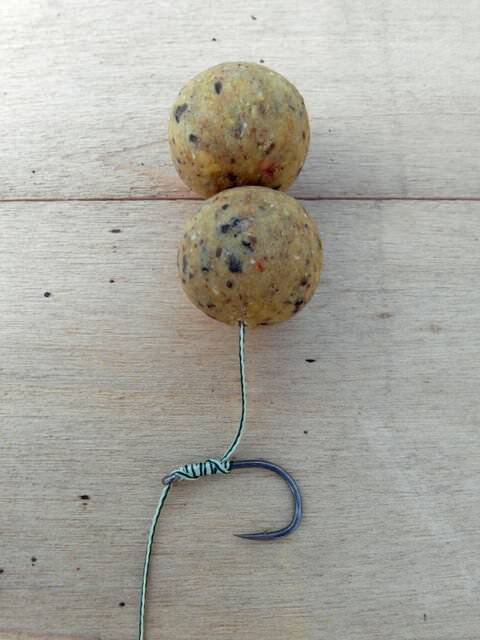 So, there it is, the Beausoleil big carp rig, very simple to tie and very effective. Good luck with it. Would like to say thankyou to you Sir, for a simple to tie rig/setup. Just come back to carp fishing and swamped by all the rigs out there. I only fish on waters holding carp to 20lbs, but to have this setup has given so many captures. Hi Phil, thanks very much for your comment. I’m delighted that my simple rig is working for you. It’s very easy to get lost in the forest so to speak. All the best, Matt. Last fished over two decades ago and i have just started again. However, fishing has changed considerably in terms of tech etc and in other areas too. This tutorial which i found on YouTube is just what i was looking for. Thanks for taking the time to make the video and to publish this page.